Our graduates work in family practice, internal medicine, pediatrics, OB/GYN, and other sectors within rural and underserved populations. At SAU, we prepare highly qualified and compassionate Physician Assistants by providing deep learning opportunities in the classroom and in communities. You will work side-by-side with experts and specialists in medical communities, and just as closely with program faculty and mentors. Our 2016 MPAS graduates were tremendously successful in finding employment, and many received multiple offers prior to graduation. Some also received signing bonuses and tuition compensation from their employers. You will be trained in the medical model to provide patient care, including physical examinations, ordering tests, diagnosing and treating illness, performing minor procedures, as well as first-assisting in surgery. Our 29-month program is comprised of 124 credit hours. We accept a new class of 30 students annually through a competitive application process and coursework begins in the summer. The first 14 months of the program are didactic. Classroom and laboratory studies include anatomy, pathology, physical examination and clinical medicine. The following 15 months are clinical rotations in family medicine, internal medicine, pediatrics, emergency medicine, surgery, OB-gyn, and psychiatry. Graduates will be eligible to seek licensure to practice in one or more of the 50 states, and we prepare them well. All members (100%) of the MPAS Class of 2017 passed the NCCPA exam on the first attempt. The ARC-PA has granted Accreditation-Provisional status to the St. Ambrose University Master of Physician Assistant Studies Program. What are some of the advantages of the SAU MPAS program? Based on projected needs in rural states, primary care is an emphasis of our program. The Association of American Medical Colleges (AAMC) reports the demand for physician services is increasing rapidly while the nation's population continues to age, grow, live longer, and has more chronic illnesses. Physician assistants are part of the solution to help alleviate shortages. We have a strong history and regional reputation for training high-quality, caring health professionals. Each year, more than 500 students enroll in SAU accredited health sciences programs in nursing, physical therapy, occupational therapy, speech-language pathology, and social work. In fact, the St. Ambrose University College of Health and Human Services houses two of the top doctoral programs in the country: Physical Therapy and Occupational Therapy. Job opportunities abound for Ambrose PA graduates. We've also curated a list of job positions from around the country. Take a look at it here. 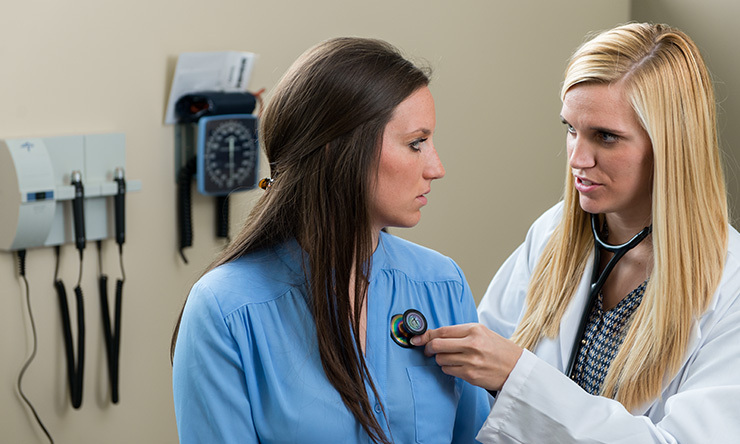 What is the Career Outlook for Physician Assistants? In 2017, Forbes Magazine gave the physician assistant graduate degree a first-place ranking based on salary and employment outlook, citing, in part, the U.S. Bureau of Labor Statistics projection of a 37 percent increase in PA positions by 2026. The average annual wage for a physician assistant in 2016 was $102,090 (Bureau of Labor Statistics). And students from St. Ambrose University are no exception. Our 2016 MPAS graduates were tremendously successful in securing employment, and many received multiple offers prior to graduation. Some also received signing bonuses and tuition compensation from their employers. Read more about our graduates by clicking here. The mission of the St. Ambrose University Physician Assistant Program is to prepare physician assistants to deliver high-quality patient-centered care with compassion and respect. The program provides a supportive environment to assist students as they develop into professionals with the knowledge and skills to contribute to the health and welfare of their communities. This goal is achieved by the St. Ambrose University Physician Assistant Program having provisional accreditation from the Accreditation Review Commission on Education for the Physician Assistant (ARC-PA). Maintain a level of PANCE pass rate above the national average. 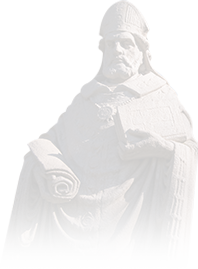 St. Ambrose University's program has had two classes take the PANCE exam since the start of the program in 2014. Both graduating classes have been above the national average for first-time test takers, with a 100% for the Class of 2017 and 97% for the Class of 2016. Overall pass rate has been 100% for both graduating classes. Meet the primary care workforce needs - especially in rural and underserved populations. a. 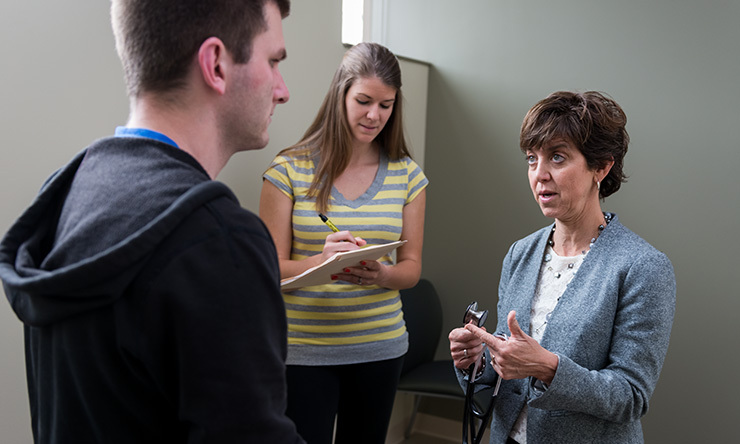 The curriculum at St. Ambrose University is designed to help prepare students to work in the primary care field with seven out of nine required rotations in a primary care field. b. St. Ambrose University has graduated two classes thus far with >50% of graduating students working in primary care in a rural or underserved area. a. 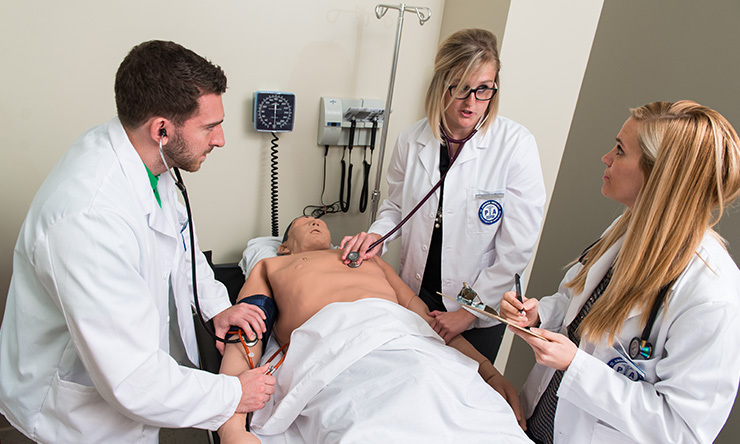 Students at St. Ambrose University are evaluated each semester by their professors and preceptors to ensure they maintain the highest standards of professionalism. b. All cohorts have had > or =95% of students meet or exceed this goal. a. The St. Ambrose University Physician Assistant Program encourages throughout the program and after graduation. b. Students have assumed leadership roles in the PA student society. c. Student service hours have ranged from 6-12 hours per student per year. The success of this program is based on attracting and recruiting highly qualified applicants that will be able to handle the rigor of this type of teaching format. Each year, approximately 80 applicants are interviewed for the 30 seats available. Our data, along with our graduation and PANCE pass rates indicate that we recruit highly qualified applicants. Since the first class has matriculated in June 2014, only two students have withdrawn from the program. This demonstrates that the program selects students that will perform well in a rigorous educational program. Trevor Portiner '16 MPAS works in internal medicine at Lower Manhattan Hospital in New York. Jennifer Hermanson '16 MPAS works in neurosurgery in Anchorage, Alaska. When you enroll in a graduate program, you are making a personal, professional, and financial investment. The cost may seem daunting, but there are programs that can help. MPAS students are part of the One Price Plan that ensures tuition costs remain at one rate throughout the normal course of full-time graduate study. Additionally, the cost is consistent across semesters, making financial planning easier. The One Price tuition is $12,311/semester for new students entering during the 2019-20 academic year. There are some additional costs for textbooks and technology. We estimate your total cost for the program to be $98,489. Due to a nationwide shortage of physician assistants, there are several loan repayment programs that offer partial or full repayment of college loans. The American Association of Medical Colleges provides a database to search loan repayment/forgiveness and scholarship programs. Specifically in Iowa, the Primary Care Recruitment and Retention Endeavor offers two-year grants when PAs work in a health professional shortage area. MPAS students may be eligible for low-interest federal student loans. Our Financial Aid Office can provide you with more information. The Master of Physician Assistant Studies Program (MPAS) is 29 months in length consisting of a 14-month didactic component followed by 15-month supervised clinical clerkship component. The didactic phase is comprised of classroom instruction in advanced basic sciences, clinical skills, clinical medicine, pharmacology, behavioral medicine, ethics, and research. In general, classes are held Monday through Friday from 8 a.m. to 5 p.m. Students are expected to attend all classes and should have no other commitments during these hours. The clinical phase of the program consists of 15 months of supervised clinical clerkships. Most clerkships are 4 weeks in length with some exceptions. There are eight required clerkships to include: Family Medicine, Internal Medicine, Pediatrics, Obstetrics-Gynecology, Psychiatry, Emergency Medicine, and General Surgery. In addition to the required clerkships, students will choose four electives. Some rotations will require students to work on the weekends and evenings. Students are required to be available as instructed by their preceptors. Several times throughout the clinical phase, students will return to campus for end-of-rotation exams as well as other educational sessions. A separate handbook will be distributed during the clinical year orientation detailing specifics for the clinical year. Note: We do not allow for advanced standing, regardless of previous graduate work in healthcare. All incoming students must complete the entire PA curriculum. Take the next step to earning your degree and apply to the Master of Physician Assistant Studies program.